Epic scenery where incredible mountains crash down into a pastel hued layer cake of buildings and beyond into the impossibly blue sea. Epic cuisine with local restaurants growing their own produce, lemons the size of your head and seafood as fresh as it gets. 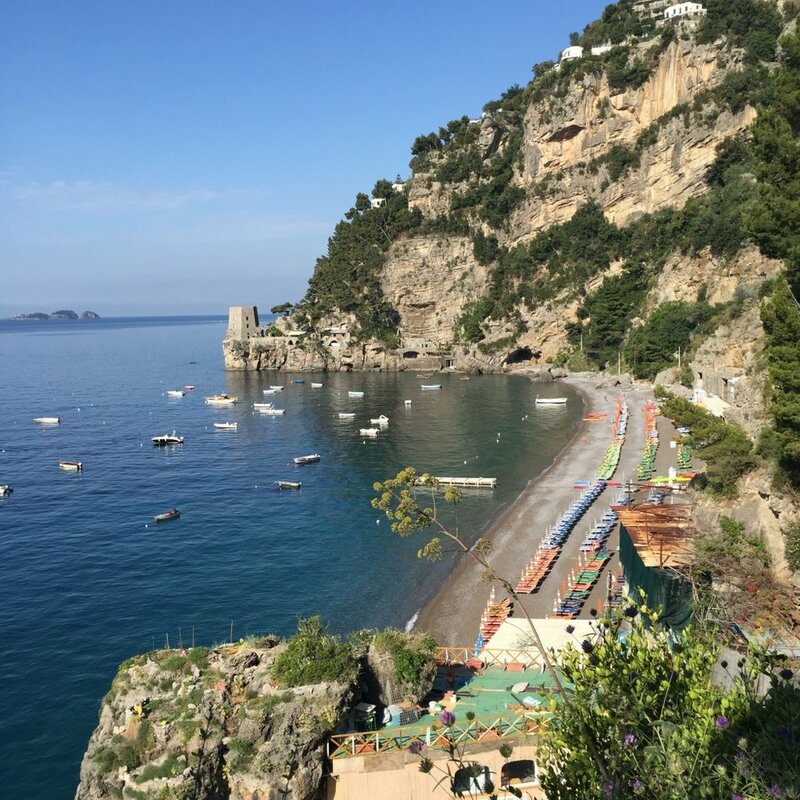 As I was coming up to 30 weeks pregnant, there's no denying that those stairs were a little bit of effort, but the walk around from Fornillo Beach to the main Positano beach was delightful. At the end of a day of pottering the winding streets, gorging ourselves on pizza/pasta/all of the above, we would then walk home via one of the upper streets of Positano and traverse back across, taking in the breathtaking views as we went. Must do: Da Adolfo - fabulous beach club and seafood restaurant only accessible by boat. Book ahead and get to the pier on time! The boatride to this little hidden gem alone is worth it. Must go: April-June or October. Incredibly crowded and hot during late June to August. We stayed in late May and the weather was GLORIOUS though the water was effing freezing. No major crowds though! Must eat: pasta at Max's, pizzas at Il Pupetto, and be sure to find the lady selling lemon granita from her cart, it's right near where the bus stop is up the top of the shopping street... we may/may not have done three stops there in one day (I was pregnant... this was mandatory), seafood lunch at Da Adolfo, epic 11-course lunch at La Tagliata...all produce either grown in house or locally.